Two men and two youths were arrested and drugs with a street value of £1,000 seized by police supervising children going to an under-18s nightclub. 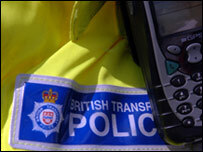 Officers with dogs were on duty at Crawley railway station, West Sussex and at East Croydon in south London. It was part of an operation to ensure youngsters could travel safely to an under-18s night at the Liquid & Envy club near Crawley station. A total of 35 wraps of Class A drugs were seized at East Croydon station. A 16-year-old, of no fixed abode, and a 19-year-old, from Croydon, were arrested on suspicion of intent to supply and are being interviewed by police. At Crawley station, an 18-year-old from Horsham, West Sussex, and a 17-year-old from Earlsfield, south London, were arrested. They have been issued with formal warnings. Last August, teenagers travelling home from the nightclub were robbed by a "steaming" gang on a train from Crawley to London. British Transport Police said police were working with the club management to ensure the events were safe. "The intention for the future is to have tickets sold through local secondary schools and put a limit on the number of tickets each person can purchase," said Insp Gary Ancell. "These measures are part of a move by the authorities to ensure that only local youths are attending these events." He said that police were pleased with the behaviour of the majority of those attending on Wednesday. "On the whole the event went quite smoothly," Mr Ancell said. "We are reminding youngsters ahead of the next event that tickets must be purchased in advance."